Russ served as a Police Officer for 30 years with South Yorkshire Police, where he experienced many high profile incidents and was involved in Operational Planning and Resilience until his retirement. Russ joined South Yorkshire Fire & Rescue as the Emergency Planning Officer in 2010 where he is responsible for all Resilience and Planning matters and is the Business Continuity and Protective Security Manager. He is the chair of a number of BC Groups, including the National Fire Chiefs Council, through which he has set up a National Fire & Rescue Service mentoring scheme. Russ is a Certified Lead Auditor for ISO22301 (Business Continuity). 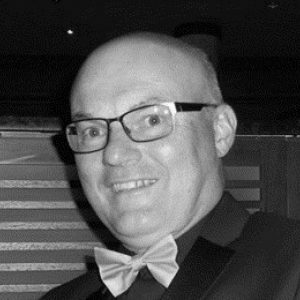 He is an active member of the Business Continuity Institute (BCI), a BCI membership applications auditor, BCI awards nominations judge and BCI mentor throughout the world. Russ is the owner of his own consultancy business ‘CRM Business Services’ through which he also offers a comprehensive mentoring service. Russ received the BCI European Continuity and Resilience Professional (Public Sector) award in 2016 and 2017; and the BCI Global award in this category in November 2017.